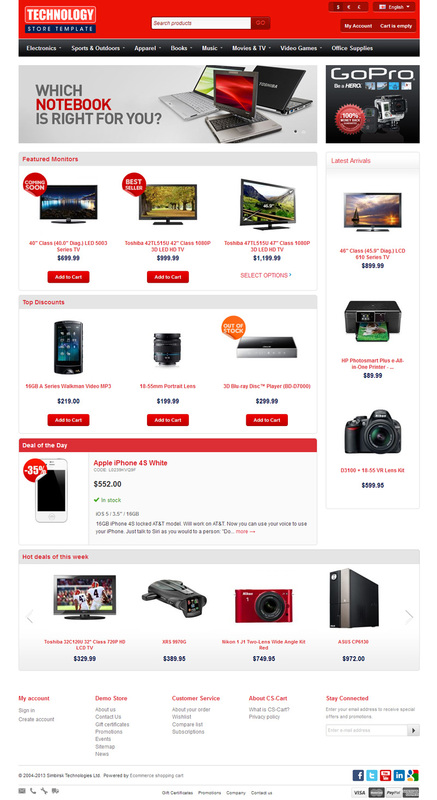 If you are looking for the right theme for your electronics store then you have come to the right place. 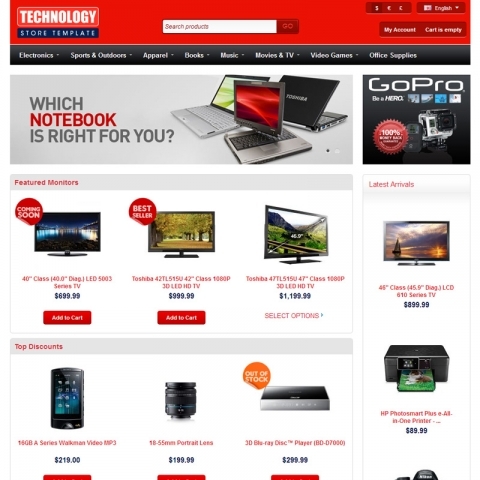 The Technostore Theme will stand up to the high standards of a vibrant design with lots of space for your product promotions and banners. Based on red, this design will definitely catch the eye of every visitor and fully equipped with all necessary promotion blocks it will surely stand out in the competition.